This is a web site of intuition and archetype, of spiritual exploration and discovery, and of religious myth and symbol. The material presented here is a product of meditation, contemplation, and visionary experience. It contains religious symbolism from many different traditions - those that are Eastern and Western as well as ancient and modern. The artwork and literature here attempts to show how creativity and spirituality can be part of the same process. It hopes to do this by providing media that demonstrate, support, and encourage visionary experience. The reader will also learn something of the different kinds of meditative practices that produced the contents of this site. We hope this material will of interest to those who wish to explore the artistic and creative side of spirituality as a means of personal growth. The site is divided into four sections. 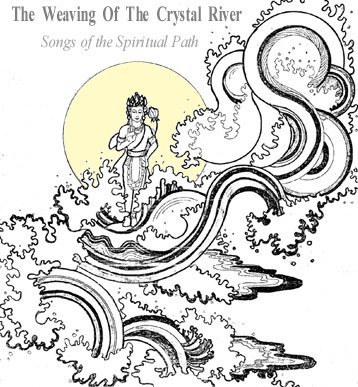 The largest is the first section of symbolic imagery and artwork which contains over fifty drawings and illustrations created during meditation and contemplation. Next is a section on mystical poetry and ecstatic prayer. After that are the hymns to the gods of distant and ancient cultures. Finally we conclude with two children's stories about travelers on the spiritual path. The first story, The Frog and the Rose, is fully illustrated. Both stories are also suitable for adults. We invite you look around and explore by choosing one of the links below.